Below are schedules for our liturgical volunteers. These are also posted in the gathering space and/or sacristy in the church. If you are interested in joining in one of our parish's ministries, please contact the church office and we will direct you to the coordinator. Most of our ministries are scheduled on a month-by-month basis. We are always looking for more volunteers - these are important ministries to our church and we love having more parishioners involved in our liturgies! Liturgy is the "Work of the People". Our church building is the place where our family gathers to worship together. There are many ways you can help, depending on the gifts God has given you and how God calls you to help. Sometimes to find that out, we need to just try and see. Just as with every family home, it takes the participation and assistance of everyone. There are a lot of tasks that need to be done behind the scenes - how do you feel you’re being called to help? Extraordinary Ministers of Holy Communion: Eucharistic Ministers assist the presider in distributing the Eucharist at Masses. They must be Confirmed and members of our parish. We are in great need of people willing to EM for our Saturday evening Mass. Reader (Lector): Readers effectively proclaim the Word of God at our Masses on weekends and Holy Days of Obligation. Training is provided, and a lector workbook is available for you to prepare the weekend's readings. Sacristans: Sacristans help prepare for the Mass by setting out the bread, wine, vessels, and linens for the liturgy, and also assist in cleaning and storing them after Mass if needed. This is a much needed ministry and we are always in need of more Sacristans for both weekend Masses. Ministers of Hospitality: Ushers/Greeters are a visible and welcoming presence at our Masses. They greet parishioners and visitors as they enter the church, seat people when necessary, take up the collection, and assist any person in need of anything while at our Mass. They also distribute the bulletins as the people walk out of the church after Mass and do a walk through of the pews and church to make sure the hymnals and pews are neatened for the next liturgy. Altar Society: These parishioners work behind the scenes in making sure the linens used at our Masses are clean and ready, clean the chalices, patens, etc. each week, make sure the altar candles are cleaned when needed, among other tasks centered on making sure the items we use at Mass are clean and presentable. This ministry can be done almost any time it fits your schedule and takes a short time. 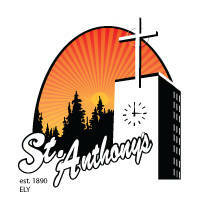 Altar Servers: The youth of our parish are invited to train in as altar servers beginning in 4th grade. We are always in need of more and will provide training as needed! Money Counters: Money counters meet weekly (Sunday or Monday) to count the weekend collections and make the deposit for our parish. Currently there are six teams that count money two months out of the year on a rotating basis. We are always looking for more teams and counters. Experience is helpful, but training is provided.